One of the key criteria for when we purchased a camper trailer was that it needed to be able to transport a tinny on our travels. The KK is the perfect camper for this with a max weight of 2,000kg. We reckon when we are fully loaded, we are pretty close to this. In 2012, we picked up this little ripper of a tinny. It’s a Bermuda Dolphin 375 with a 15hp Merc outboard. 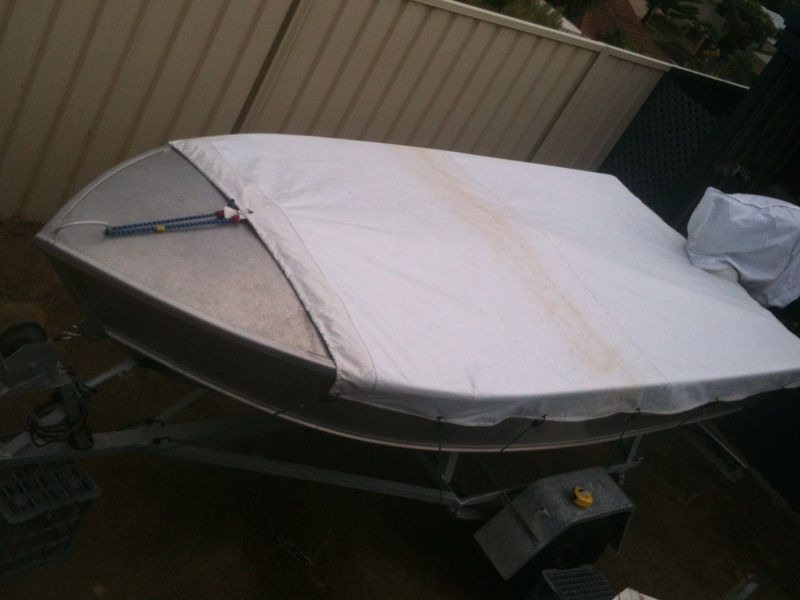 We also picked up a great secondhand Little Bulldog folding boat trailer. So now our rig is complete. The boat will go on the boat loader on top of the camper with the folding trailer stored underneath it. We’ve modified the rear rack on the loader to accommodate an extra 15mm width. Folding trailer. Total weight 65kg but can be stored in 3 pieces. Well, The Driver has been busy giving the tinny a spruce up. It’s been pressure cleaned, had the old rotten flooring removed and the trailer bearings greased. A fabulous new floor has been installed and it looks just like a bought one. 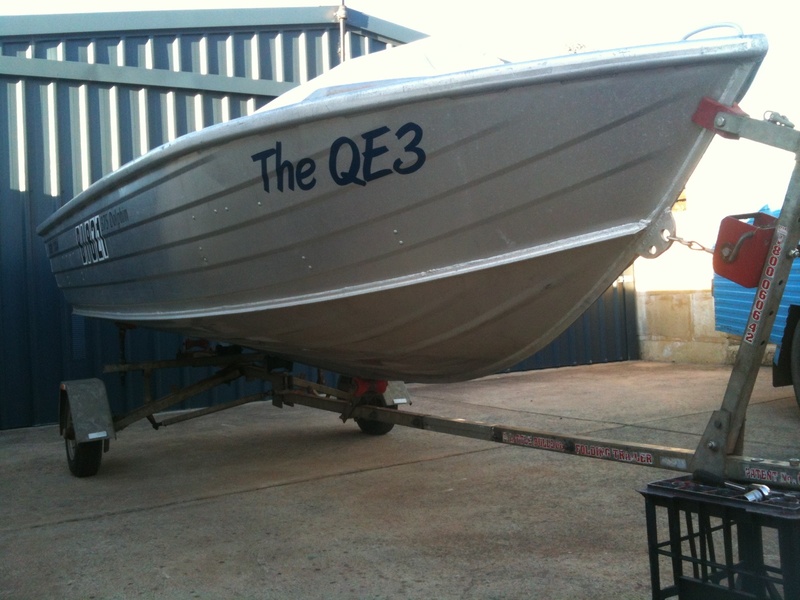 We’ve had a cover made for the whole boat and a dust cover for the outboard – so when the outboard is on the back of the camper it doesn’t get covered in dust. Still trying to work out the best seats for the boat. The ones in the pic below were returned to the shop as they were just too high. 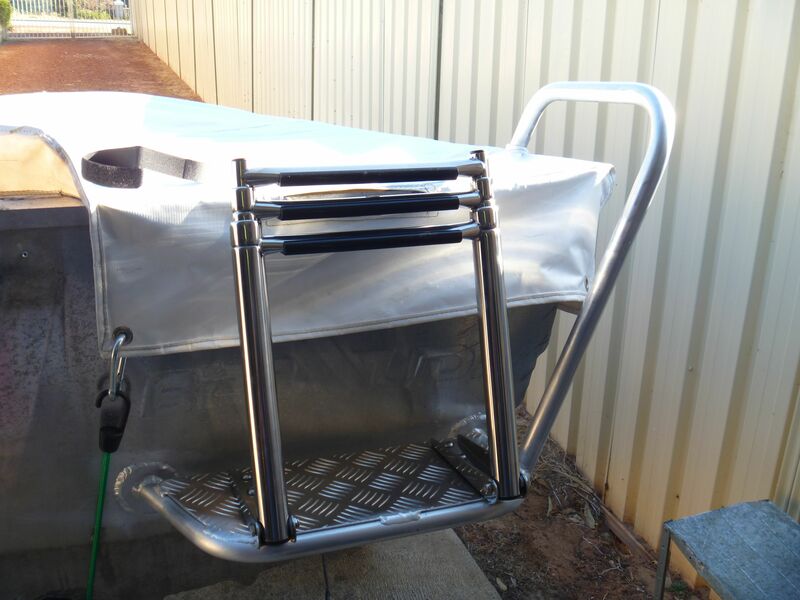 The folding trailer has been modified and registered. We had an experimental session with camper and boat down at the school oval and it all seems to work ok. It’s a bit heavy on the loader with boat and trailer, but we managed. Fits on the loader since The Driver modified the rear bar. 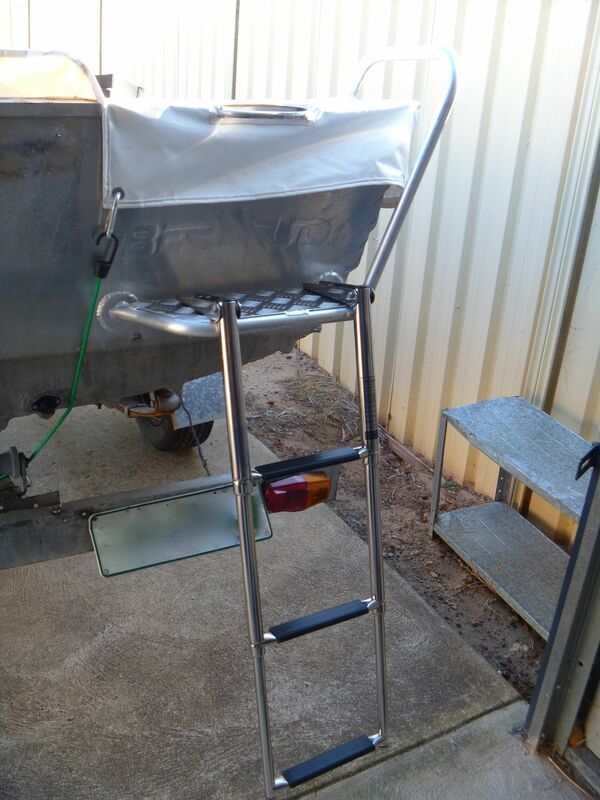 The folding trailer fits neatly under the boat, strapped to the loader tray. And a step with telescopic ladder and handrail.